Advent marks the beginning of another year in the cycle of Scriptures that presents the narrative of the love of God revealed to the world. As is the usual fashion, Pastor Wiley Gladney has chosen to take Advent, Christmas, and Epiphany together as a seven-part series to begin the new year. 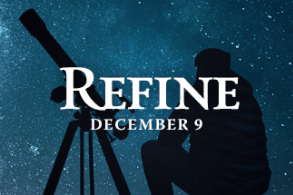 Week 1 – December 2nd – Points directly at Christ’s coming. Even though there is some apocalyptic language, the overall tenor of the passage is one of hope and encouragement. Though fear and foreboding are significant elements of this event, Jesus says, “stand up and raise your heads, because your redemption is drawing near” (Lk. 21:28). Signs will be given, and God’s people must be alert, constantly praying for strength, in preparation to “stand before the Son of Man” (Lk. 21:36, NRSV). 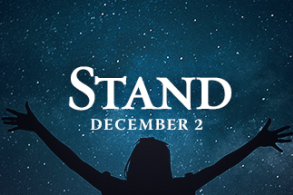 Week 2 – December 9th – Begins with the question from Malachi, “who can stand when he appears?” (Mal. 3:2), which serves as a hinge point from the “stand” imagery of the previous week. This week’s readings address issues of justice, purification, and refining that will accompany Jesus’ coming. Week 3 – December 16th – Gaudete Sunday, is always an occasion of joy. With these Scripture lessons, however, comes an expectation that the people of God will “do” something to be a part of the inheritance promised to Abraham. Zephaniah instructs the people to “not let your hands grow weak” (Zep. 3:16), and John offers further teaching: “Bear fruits worthy of repentance” (Lk. 3:7-16). Week 4 – December 23rd – The promise to Abraham is not forgotten, in which Mary sings and recalls the covenant of old that shows God’s mercy and justice. There are senses of preparation and nesting as both Bethlehem and Mary receive word of Jesus’ coming. 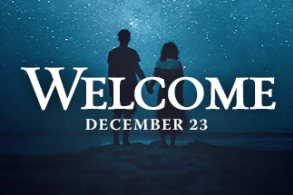 Both Bethlehem and Mary will be agents of welcoming God in flesh to earth. 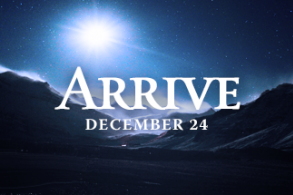 Christmas Eve – December 24th – Becomes the point of arrival as Christ—the “Wonderful Counselor, Mighty God, Everlasting Father, Prince of Peace”—comes to the world. In the ways Jesus comes, however, it is often easy to become so overwhelmed that we cannot see the presence or work of Christ around us. Just like Mary and Joseph, we find ourselves searching for Jesus, despite knowing all the places and ways in which Christ can be found. With enough searching, however, the promise we are given with the story of the Epiphany, is that all who search for Jesus will find him. 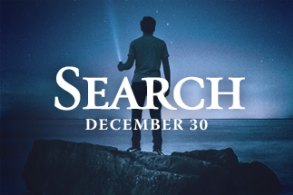 Week 5 – December 30th – The First Sunday after Christmas day – For this Sunday, the word “Search” was chosen because in the story in Luke, Jesus’ family has to search for him. When they finally find him, Jesus asks them, “Why were you searching for me?” Remember that this is another great week to sing those familiar Christmas hymns. Even though it is December 30, and people may be gearing up to go back to work, it is still the Christmas season! Week 6 – January 6th – Epiphany Sunday – This year, Epiphany falls on a Sunday. Sometimes the week is split between Epiphany and Epiphany Sunday. 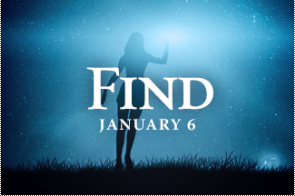 The word for this week is Find. Jesus is coming! It is our responsibility to “prepare the way” and get ready. What is your plan to make a place for Christ to be known in your community? Join us for worship on Sunday mornings at 9:30 AM! This is a small group called “Wednesday Morning” that meets weekly in the library. Join us as we go through different bible studies, books, and enjoy friendship, fellowship, and of course….coffee and cookies. Meets in the library. Please use the East Entrance from the parking lot off Seminary Street. Its just not a meeting. Living united is a call to action, lead and participate. Connect with small groups. 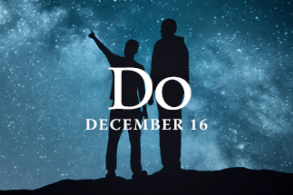 They are not one more thing to do…..they are THE thing to do. Most of all, you will experience doing life together! For more information or questions, please contact the church office at 647-3203, Monday thru Friday, 9am to noon.